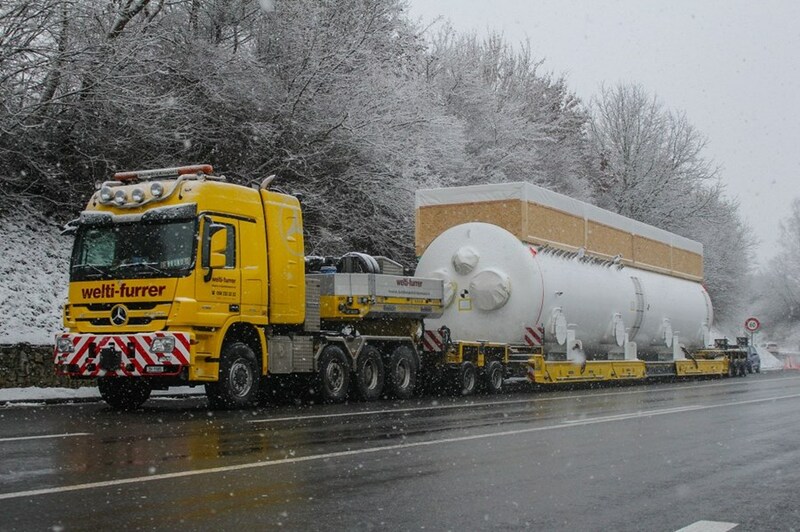 Procured by India and manufactured by Linde Kryotechnik AG near Zürich, Switzerland, the last of the cold boxes needed for the ITER cryoplant has begun its long journey to the ITER site. The 63-tonne component procured by the Indian Domestic Agency is on its way to Basel harbour, from the Linde Kryotechnik factory near Zürich. On Friday, the 63.5-tonne component—a cryogenic termination cold box—was loaded onto a river barge at Basel and headed north for Strasbourg, France, where it arrived on Sunday evening. Sailing west, then south through a network of canals, the barge will eventually enter the Rhône river and reach Fos-sur-Mer harbour on 22 February after almost four weeks of navigation. Sitting low in the barge, the cryogenic termination cold box will travel on the waterways of Europe for approximately four weeks to reach ITER. The component, whose function is to interconnect three helium plant cold boxes, two 80 K loops and the cryolines connecting the cryoplant and the Tokamak Building, is expected at ITER on 26 February. More on the ITER cryoplant here.